At your biannual checkups, you can count on having your teeth cleaned and polished so your smile will be brighter and your mouth will feel refreshed. In addition, there are several other important preventive measures taken during your visit. Prevention is key to maintain your oral and dental health. If Dr. Lalonde can spot and treat a problem early, then he can prevent real trouble from developing in your mouth and possibly throughout the rest of your body. In particular, we look out for the early warning signs of gum disease. Also called periodontal disease, this is a bacterial infection that weakens and eventually destroys gum tissue, connective tissue and the supporting bone tissue that holds your teeth in place. Researchers have noted a connection between the bacteria in your mouth and a number of systemic illnesses including heart disease, stroke, osteoporosis, respiratory illness including pneumonia, and even pregnancy complications. All of this is in addition to the devastating effects that gum disease can have in your mouth, not the least of which may tooth loss. Unfortunately, the early signs of gum disease can be hard to recognize on your own. Therefore, it is in the best interest of your oral and your general health to attend dental checkups. Dr. Lalonde and his team need your help. We need you to take care of your teeth in between your visits to our office. Of course, this includes daily brushing and flossing, but in addition you should try to be aware of any changes in your mouth. Does a tooth hurt or seem sensitive? What about your bite—do your teeth meet the same way they always have? Does your jaw hurt? Is there a sore in your mouth that hasn’t healed? These can all be signs of conditions that need addressing by your family dentist in Los Fresnos. 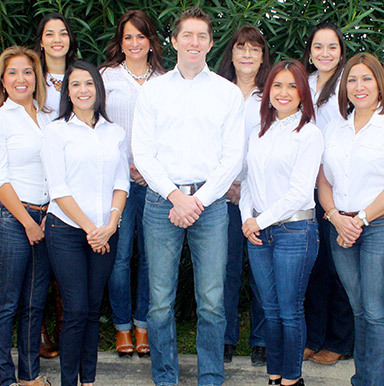 To schedule a dental checkup or to gather more information on how you can best care for your smile at home, call the Los Fresnos Dental Center.